Gerald Elias, an acclaimed concert musician and award-winning author, has performed on five continents and is a former violinist in the Boston Symphony and Associate Concertmaster of the Utah Symphony. Music Director of the Vivaldi By Candlelight chamber music series in Salt Lake City since 2004, he has been a regular guest conductor of orchestras in Peru and Ecuador. A recipient of a Fulbright Senior Specialist grant in 2008, he taught and conducted at the National Conservatory of Music in Lima. A faculty member of the University of Utah School of Music, Elias has been honored by the Utah Chapter of the American String Teachers’ Association as Studio Teacher of the Year. In 1993 Elias co-founded the Abramyan String Quartet, which provided educational and outreach activities throughout Utah and toured internationally. Elias is author of the Daniel Jacobus mystery series, published by St. Martin’s Press, which takes place in the world of classical music. Devil’s Trill was selected for the Barnes and Noble “Discover Great New Writers” 2009 catalog. Danse Macabre, hailed by Library Journal as one of the top five mysteries of 2010, called it “a musical feast for mystery and music lovers,” and won Book of the Year honors from the Utah Humanities Council. Death and the Maiden was released in 2011, and Death and Transfiguration, in 2012, received three starred reviews. Elias’s compositions have been performed by symphony orchestras and chamber ensembles. The CD of his orchestration of the Copland Violin Sonata, with Andres Cardenes as soloist, received praise from Gramaphone Magazine and the American Record Guide. Commissioned works include his Conversations with Essie, for chamber ensemble and narrator; and the Concerto Grosso in B-flat. His chamber trio for mezzo-soprano, viola, and piano, The Raven was performed at the International Edgar Allan Poe Conference in Philadelphia in 2009, celebrating the 200th anniversary of the writer’s birth. 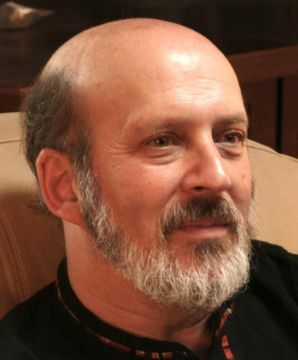 Elias attended Oberlin College and graduated from Yale University in 1975 with Bachelor’s and Master’s Degrees. He was also a Fellow at the Tanglewood Music Center. His principal teachers were Ivan Galamian and Joseph Silverstein.